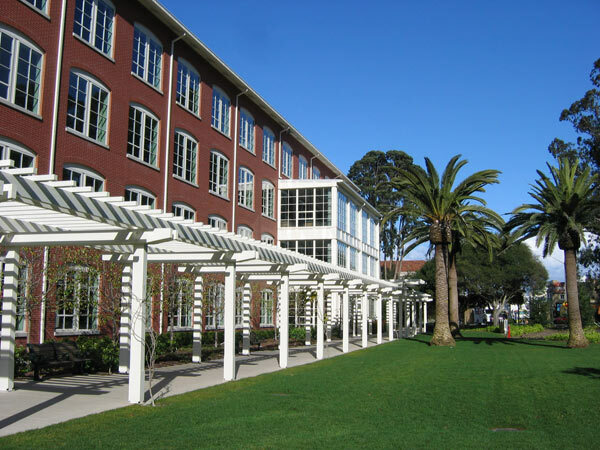 The 23-acre campus, which houses the Lucas film companies, is located near the Lombard Gate on the eastern edge of the Presidio. 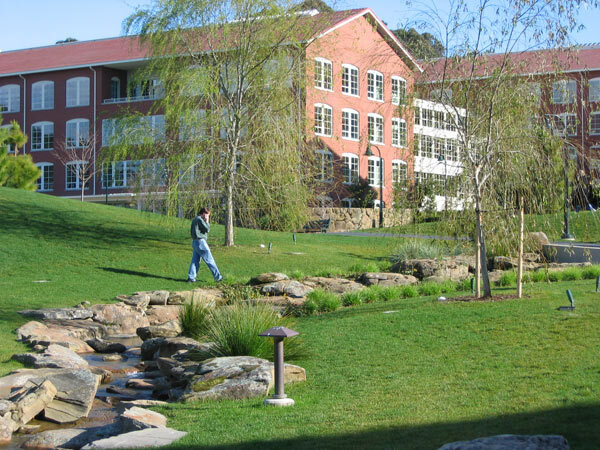 The Presidio Trust, a federal agency created by Congress to re-envision the 1000-acre former military base, partnered with George Lucas to develop the site; the flagship offices and studio opened in 2005. 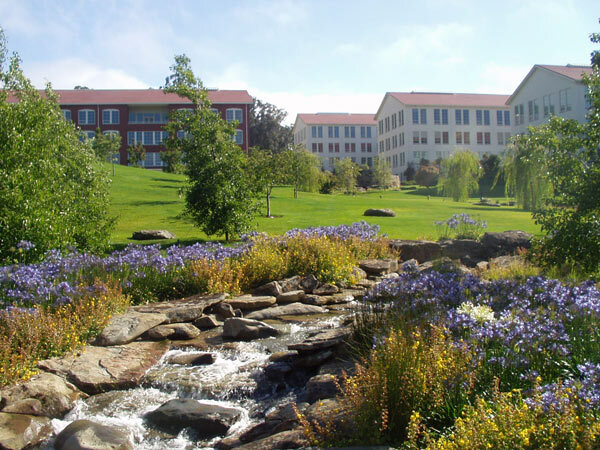 The complex is named for the Letterman Army Hospital which previously occupied the site. 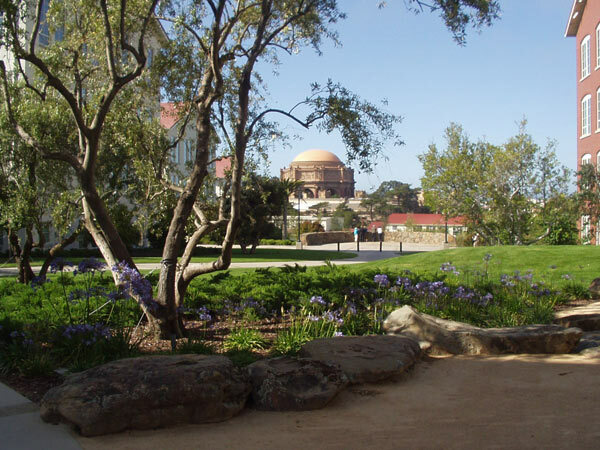 A 17-acre public park designed by Lawrence Halprin provides generous open space, while skillfully absorbing four new four-story buildings covering a 6-acre footprint, which were designed to reflect the Presidio's historic architecture. 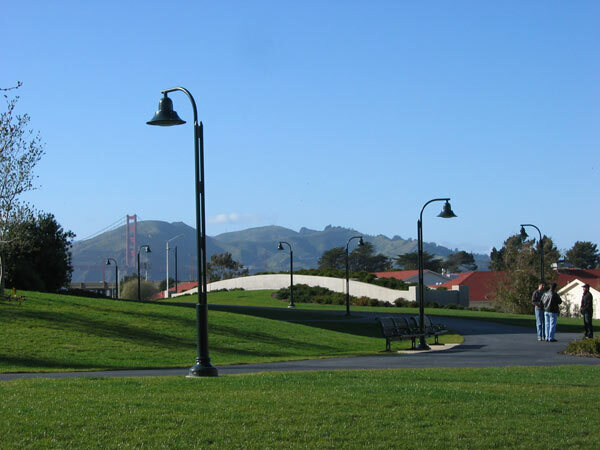 Two stone plazas with overlooks provide seating and views across a sloping central meadow and beyond to the Golden Gate Bridge and the Palace of Fine Arts. 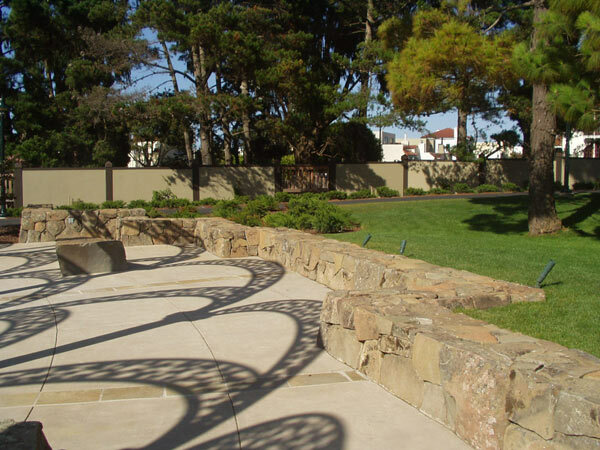 Halprin graded the site to create hillocks that buffer the mass of the buildings, planted groves of trees, and designed a meandering walk which traverses the park and connects to the Presidio Promenade. 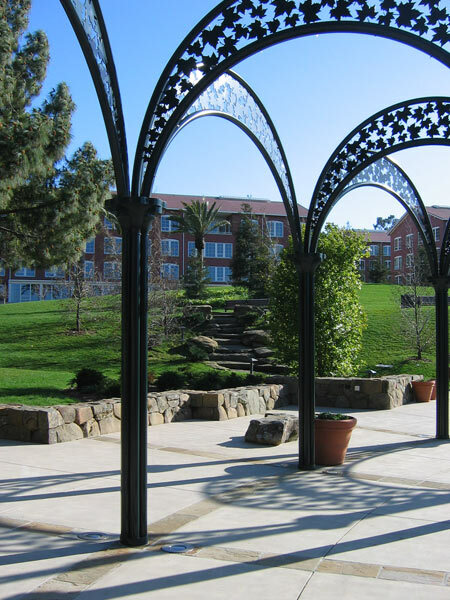 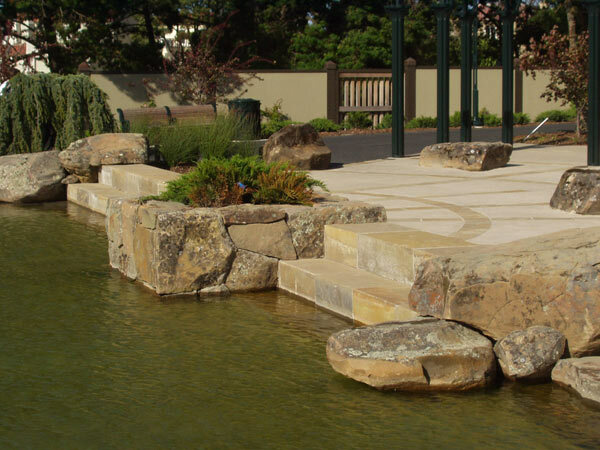 Recalling the landscape of the high Sierras, a cascading rocky stream flanked by perennial plantings winds down the meadow and connects to a boulder-lined lagoon and plaza embellished with a decorative iron arbor.